Super Silver Haze: Winner of the High Times Cannabis Cup - three years in a row! Super Silver Haze is an old-school legend of the cannabis world; one of the few old elites that still holds a lot of power and influence to this day. 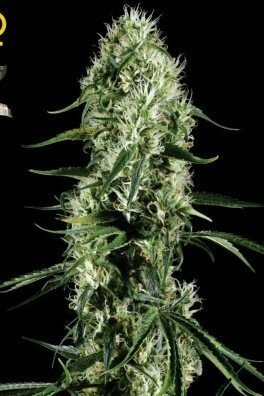 Super Silver Haze was bred by the legendary Neville Schoenmaker, a cannabis cultivator famously known for founding the first ever Dutch cannabis seed bank in the early 1980s, which he called "The Seed Bank of Holland". Super Silver Haze is the mix of (Skunk X Neville's Haze) x (Northern Lights X Neville's Haze), and it has since gone on to become one of the building blocks for superior cannabis strains everywhere, as well as the preferred choice of many cannabis connoisseurs. Super Silver Haze hit the jackpot at the end of the 1990s, when it won the High Times Cannabis Cup three years in a row (1997, 1998 and 1999)! 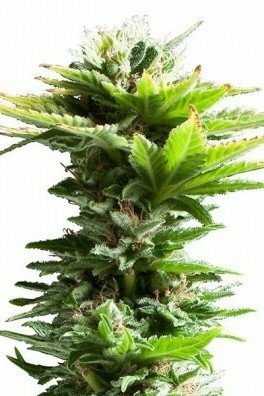 Since the genetic background of Super Silver Haze is pretty complex, all phenotypes will have slightly different characteristics and thus can vary in flavour and odour. 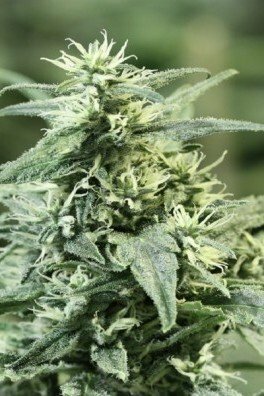 However, general speaking, Super Silver Haze produces a very pungent aroma, which follows through to the flavour and mixes with both citrus and sweet overtones. 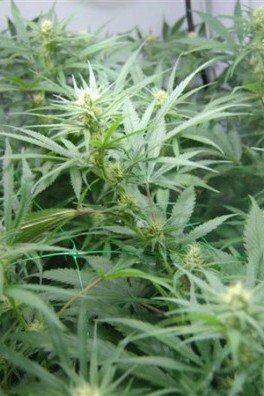 Super Silver Haze is best known for its ability to provide an uplifting, clear-headed feeling and positive mood. Fans of Super Silver Haze often rave about the quality of the high; one particularly passionate description we have heard and like calls it "a whirlwind of energy, coupled with a pleasant sense of well-being." Super Silver Haze is considered a good choice for dealing with headaches, migraines, depression and anxiety. Super Silver Haze is not the easiest strain to grow, so this is unfortunately not a strain you want to choose for your very first grow. But if you do have some experience, you love Haze strains and you only accept the best quality possible, this strain should absolutely be on top of your list. She knows how to handle some errors in feeding, temperature and humidity, but please don't overdo it, because it will reflect on the final quantity of smelly buds you will end up with. Super Silver Haze can become quite tall, so keep this in mind when you have limited space. If you do decide to grow her in a somewhat limited space you can control the height by tying down her large central cola. 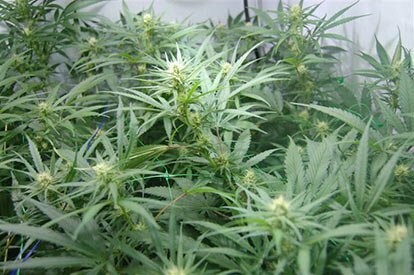 Indoors, after a flowering time of around 9-11 weeks, she will reward you with pretty large yields in the range of 450-550g/m². Under perfect conditions you can even get some more though. Just like most other sativa's she likes the warmth, so outdoor growers who live in the warmer climates on earth are lucky. When growing in great outdoor conditions, Super Silver Haze can easily yield more than 500g/plant. 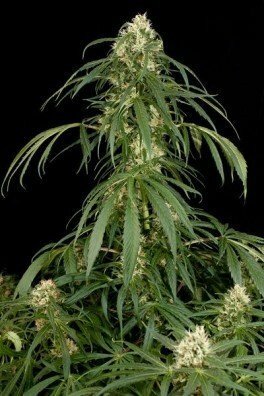 Several seed banks offer Super Silver Haze, and its variations, as part of their catalogue. In addition, many of the other cannabis strains they have bred also contain Super Silver Haze genetics. Browse through the different versions of Super Silver Haze, and all strains related to her, that are available here at Zativo.